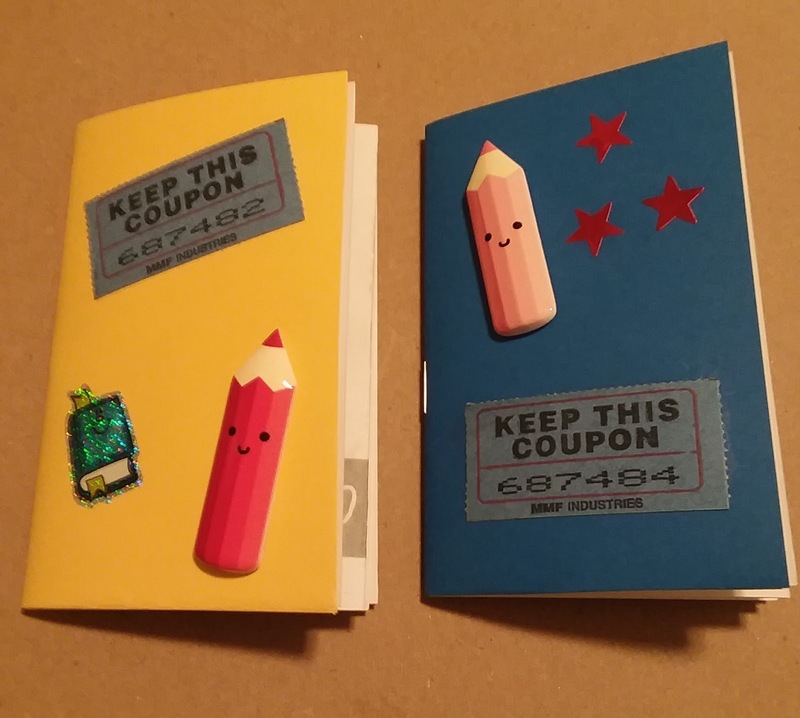 I made a new zine! The zine is called Well, It's a Job, and it's a collection of a few of the poems I've written over the last couple years using text from Nickel and Dimed by Barbara Ehrenreich. I wrote these poems by literally cutting up a paperback copy of the book and pasting down bits and pieces from the book with a glue stick. The zine itself is, in classic Teeny Tiny Press format, made from a single sheet of paper folded into eight pages. 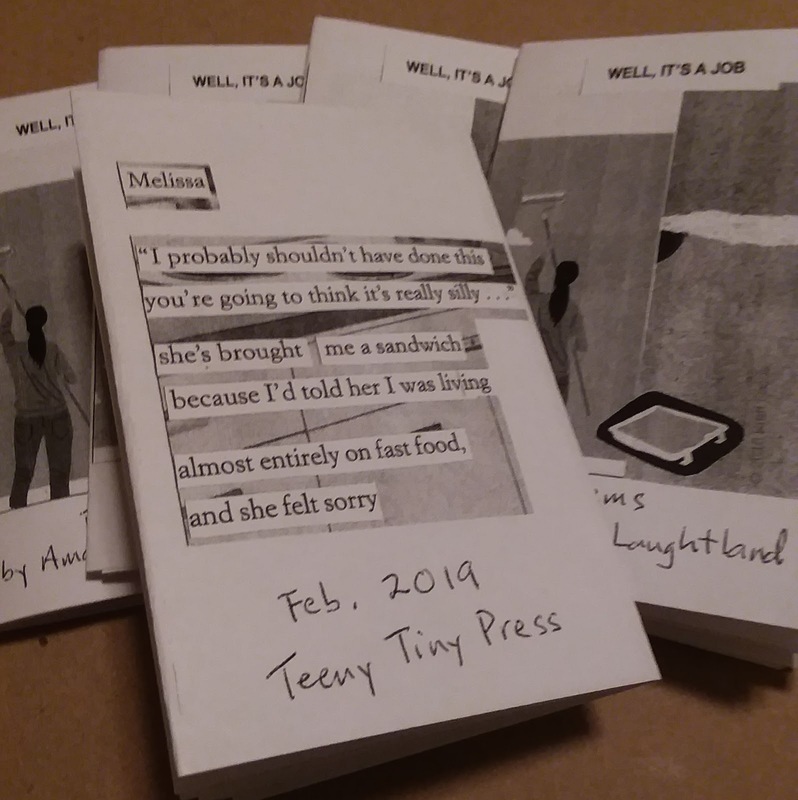 The actual cut-and-pasted images of the poems were too big to feature in the zine, so I've typed up the poems (though I did cut down one of the poems even more to make it fit onto the last page of the zine). I'm making cardstock covers for the first run of copies of the zine, too, so hurry to order if you want the unique cover. Thanks for all your support of my zines over the years. 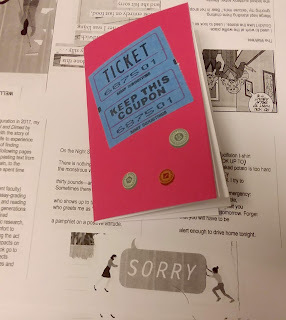 By the way, I also post photos of zines, collages, poems, and stuff to my Instagram if you want to follow me there. Thanks again!